The road to a successful career is different for everyone. You might face challenging obstacles that knock you down, but what really matters is what happens when you rise from the fall. Forty-seven percent of the workforce is female, but of the current Fortune 500 companies, only five percent of CEOs are women. How can this be? These women have used their own professional development to propel them to the positions they currently hold, and by creating their own road to success, are paving the way for future female leaders. 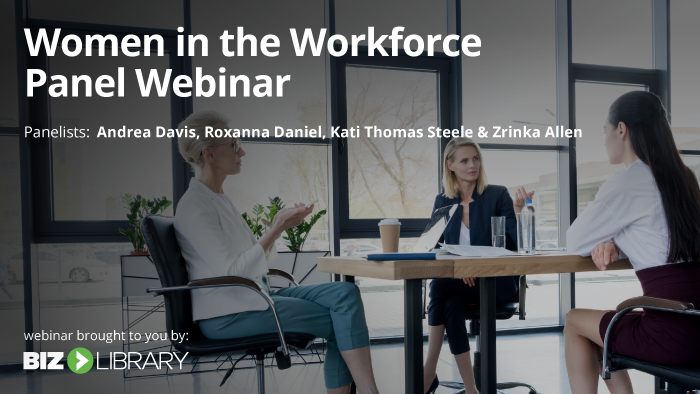 Join a panel of inspiring female leaders as they discuss how they have reached their current positions, what challenges and victories they have encountered, and what they are doing to continually break the glass ceiling. Andrea learned firsthand the value of strong leaders and teams while working in Human Resources roles at companies such as the Indianapolis Life Insurance Company and Eli Lilly & Company. Since co-founding FlashPoint in 2002, Andrea has continued to build on this experience and today is a trusted adviser to many of FlashPoint's top clients. She holds an MBA in education and a bachelor’s degree in economics and business administration. Along with being an accredited facilitator for The Five Behaviors of a Cohesive Team™ and a certified facilitator of Everything DiSC Workplace®, Andrea is a strong supporter of civic and cultural organizations. She has served on the boards of the Indianapolis Symphony Orchestra, the Indianapolis Library Foundation, the Humane Society of Indianapolis, College Mentors for Kids, IndySHRM and National Advisors Trust Company. A serial entrepreneur that has been in the construction industry since 1978, today Roxanna is concentrating her efforts in community development and wealth building through real estate investing and working with high-income investors who are looking for high returns on their investments. Roxanna's ultimate goal is to become the lender and not the lendee. She has been a member of several boards and organizations, including: Member Participant of Women in Construction, The Building Performance Group, 1st Chair of Contractors Consortium in cooperation with The Black United Fund, 1st Chair Power Circle Congregation Entrepreneurs In Truth, Voice of The People, Chicago Women In Trades, re-election campaign Jane Byrne,Gay and Lesbian Liaison for 43rd Ward Committeeman Robert Kuzas Aldermanic Run, Clarendon Park Neighbors and Impact Illinois. 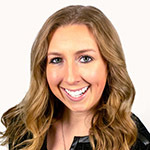 Kati Thomas Steele is an I-O Psychologist and Talent Developer who helps create advanced training programs for the development of employees beyond on-boarding. These programs include the measurement and analysis of performance and key areas of growth, for both the employee and organization. Kati sincerely believes that we rise only when we lift others up and bring out the best in who they are. In doing so, we bring out the better parts of ourselves. As a volunteer and community leader, Kati dedicates time as a member of SIOP’s Committee for Ethnic Minority Achievement and as an Ambassador for SIOP. She works within her local SHRM and ATD associations, is an Advisor to the Women’s Foundation of Memphis, and is a speaker on Well-Being, Talent Development, and Diversity and Inclusion for SIOP, CEMA, Baptist Hospital, Women’s Foundation, and TEDx. Yet Kati believes her greatest accomplishment is as a mother of her sons, a disciple of Christ, and a three-time cancer overcomer. She holds a Ph.D. in I-O Psychology from Capella University, an MBA, and a Bachelor’s of Science in Biology from Fisk University. Always a visionary, her influence, impact, and drive to challenge the status quo are the distinctions that make the positive difference in moving the business forward. It’s this difference and her role as EVP for Social Responsibility that is at the heart of her passion. Throughout her 25-plus year career, Zrinka has lead teams and strategies around Talent Acquisition, Development, Compliance, Business Transformation, Employment Branding, Diversity/Inclusion, and HR Technology. Some previous organizations include Wolters Kluwer, HSBC, Aon Hewitt, and CNBC’s The Profit. Zrinka actively supports causes as diverse as hunger, sexual abuse, homelessness, joblessness, and the military community. Z's work and life passions stem from her love of people and the joy she gets from giving back. Z arrived in the U.S. from Croatia when she was six years old with salamis stuffed in her coat sleeves (true story). She began to learn English from TV shows like Gilligan’s Island, Hogan’s Heroes, and I Dream of Jeannie. From there, she grew to love this country, classic rock, the Cubs, and pizza.